Even in Florida, the vivid color of spring is very welcome after months of winter. The ornamental cherry is the first tre to bloom and it is not shy about it. The brilliant pink blooms are a glorious herald of another spring. This entry was posted on Saturday, March 8th, 2014 at 4:55 am. 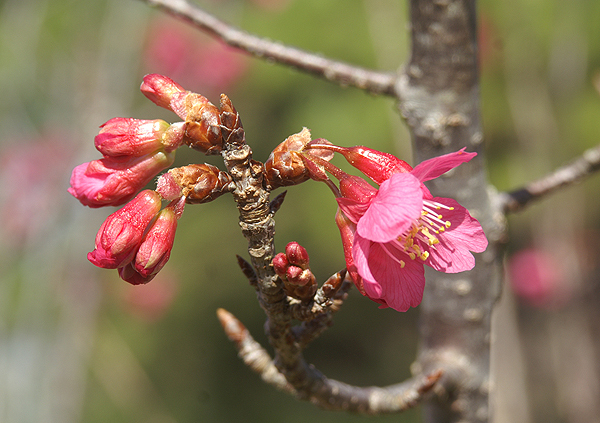 It is filed under Environment, New Images and tagged with blooming, blossom, bud, cherry, early, oranmental, pink, plant, spring, tree. You can follow any responses to this entry through the RSS 2.0 feed.